This is so darn cute! 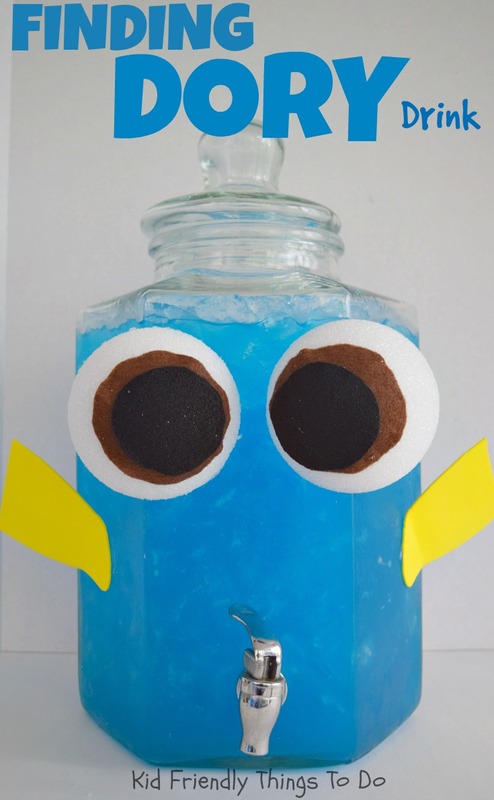 It’s the perfect drink for those Finding Dory or ocean themed birthday parties! 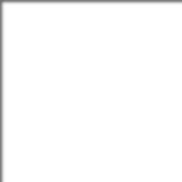 Of course I made it simple to make, because who has time for complicated? (Especially…when your trying to pull a party together!) Believe me, I just pulled off another birthday party in the Haines’ House. I know that the less complicated, the better for everyone! 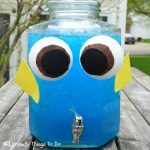 Come on in and I’ll show you how to make this fun Finding Dory Party Drink for the Kids! Fabri Tac Glue – This is my alternative to hot glue and it does such a great job. Honestly, this is the only glue that I would use in this craft. When you’re ready to party, fill the container with ice and the drink! Be careful in transporting the finished creation to the party table. You don’t want to pull an eye off. Everything should stick just fine. 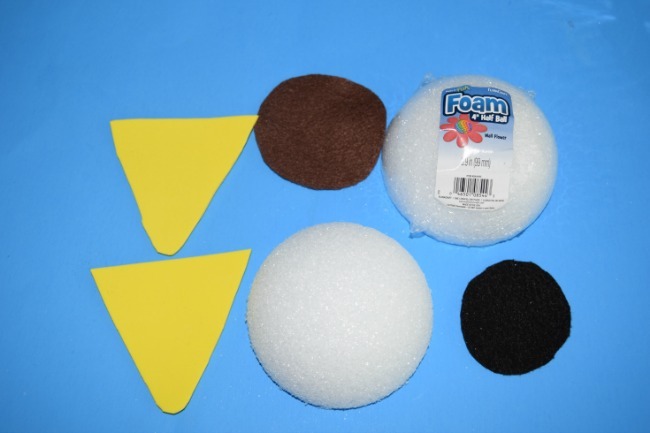 If the glue can’t handle the condensation and something falls off…use the glue stick to re-stick the stuff. It does a good job with condensation. Don’t worry though, my pieces didn’t fall off at all! I actually had to pull the eyes off. *I’m going to insert a suggestion for those of you that are worried about gluing something to your container. 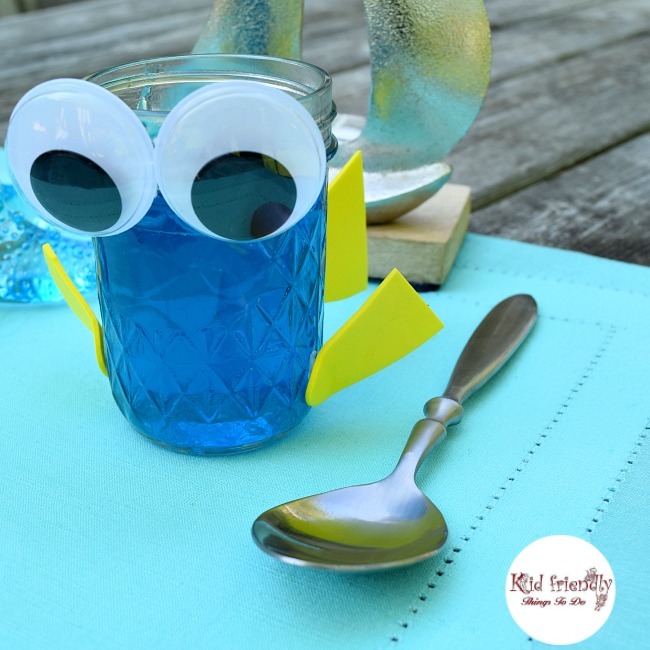 Try a little experiment to set your mind at ease with an inexpensive glass. See if the glue comes off of that when you need it to. I can attest to my experience with my particular glass container. I know this glue really well. We go way back! I use it all of the time. 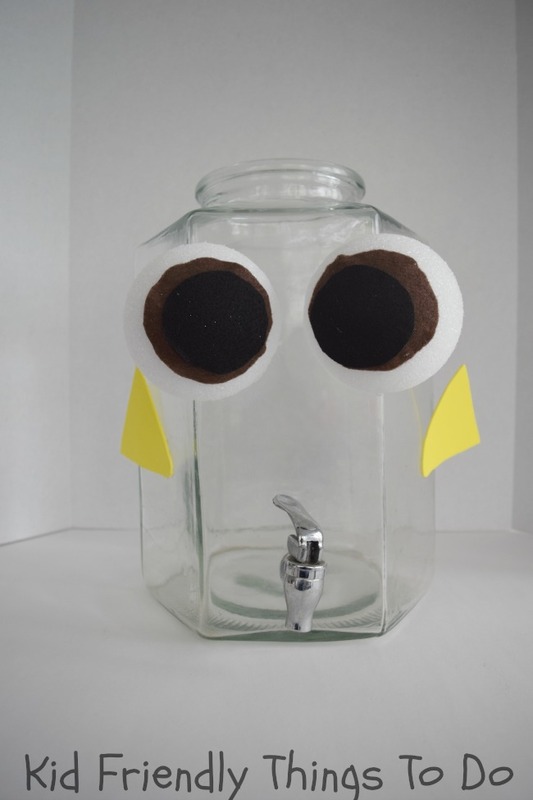 I had “zero” worries when I glued this to my glass container. When I pull the stuff off clean or is my container ruined? I can not attest for every type of container, but I have used this glue, over and over, throughout my crafting days and I know it well. I happened to use a glass container and my container is as good as new. This particular glue is a lot like a sticky gel. It should pull right off. In some cases you might need to rub it off with a wet cloth. If you are really worried, you might want to test it out on a similar surface, like an inexpensive glass. 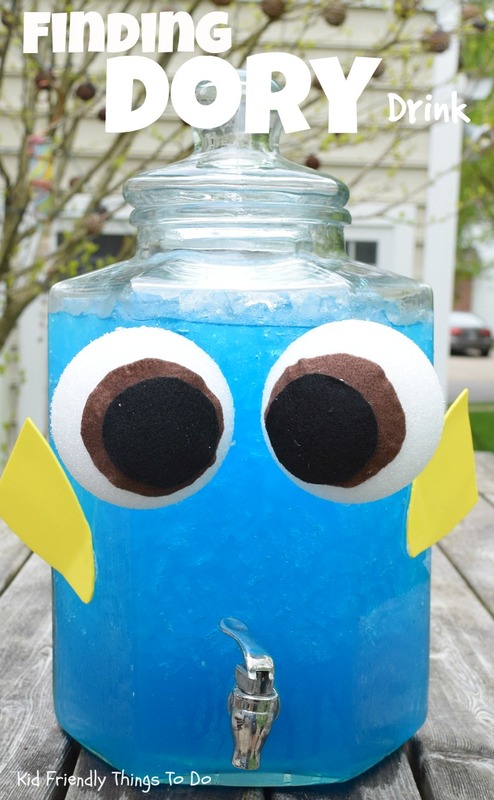 My granddaughter recently turned 3 and had a finding dory birthday party and we used ur idea of the dory drink container and it was a huge hit and so easy to do. 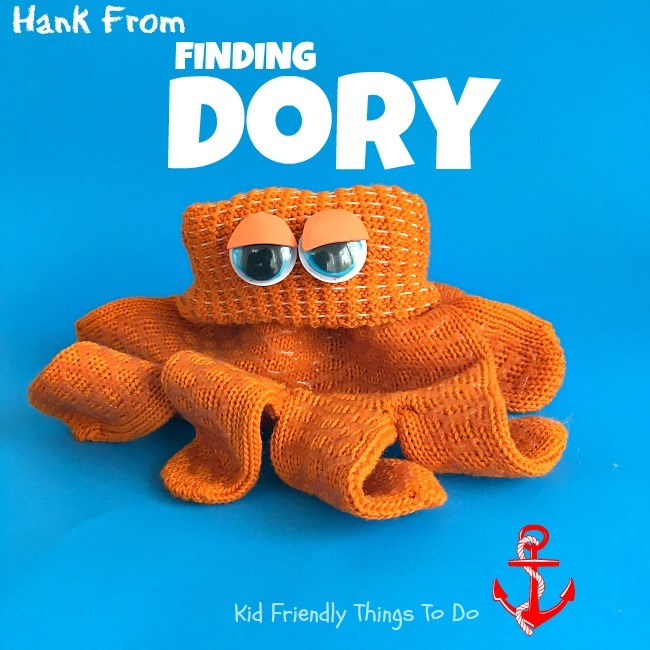 I even achieved an awesome Hank rescuing dory in the coffee pot cake. My granddaughter loved every second of that party thanks for the great idea!!!!!! Oh my goodness! This warms my heart to hear this! I love it! Thank you so much for taking the time to come back to the site and tell me about your party success! And, of course, Happy Birthday to the birthday girl!